Rare genuine model. Singer signed a contract on 9th June 1941 for only 75.000 bayonets! 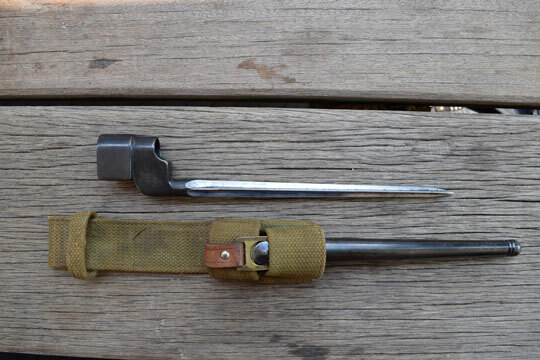 The very first Mk I steel scabbards were made with steel mouthpieces till March 1941 before the production changed to zinc (Mazac) mouthpieces. Superb serial numbered example and a complete correct set! Genuine, not a copy!!! New item, pioctures folllow later.